…86 percent of the profit in the smartphone market. Huh. Well, the horny one isn’t sure how this is bad news for Apple but just give pundits a few hours and they’ll think of something. Probably having to do with how there’s only 14 percent more profit share to take and then what will Apple do?! Of course, these are estimates provided by one analysis firm, so please enjoy an entire salt lick worth of caveats with these numbers. Sorry. The Macalope hasn’t had lunch yet. While people will grouse about the iPhone X failing to spark a “super-cycle” and dramatically increase unit sales, Apple has used it to consolidate its death grip on the profit in the industry. The Galaxy Note 8 and S8 Plus are the only non-iPhones to break into the top 10 by profit share. Even the $349 SE is in there. …generated 5X more profit than the combined profit of 600+ Android OEMs during Q4 2017. Remember all the complaints about no one wanting to buy a $1,000 smartphone? Let’s face it, Apple is pretty good at this. 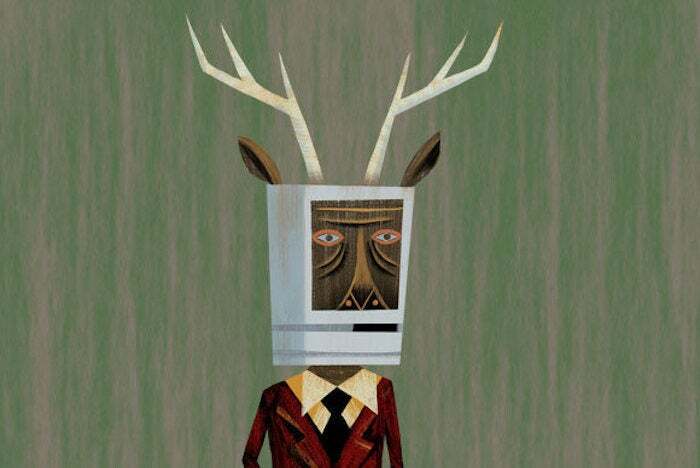 But sashay over to the Forbes contributor network and other side of the Sarlacc pit today, and you’ll find Apple being lectured on its supposed plans for pricing 2018 iPhones (tip o’ the antlers to Dan). That’s what happens when people want Apple to do the things it has very little interest in doing. The Macalope doesn’t necessarily completely believe all of this profit share report and he certainly isn’t about to worry about rumors of how Apple will price iPhones this year, but the basic fact is the same. Apple refused to chase netbooks to the bottom and it’s refusing to chase smartphones to the bottom as well. Yes, we’d all like cheaper iPhones, but the company’s strategy is still pretty sound.